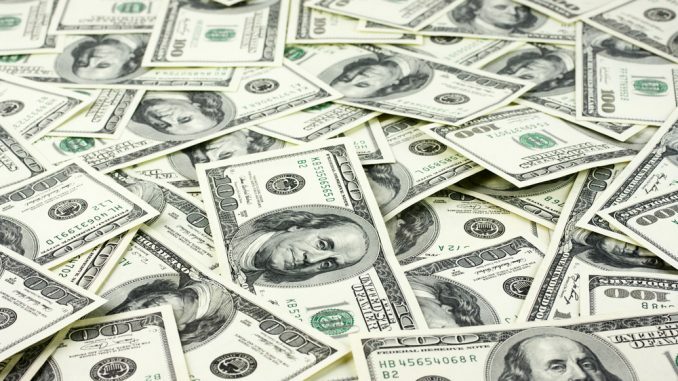 This Newsletter has often mentioned the problem of debt, especially in connection with the US, where the federal debt alone is now over $21.7 trillion, which is 105% of GDP. The situation is not much better in many Emerging Market countries as the table below clearly shows, particularly for corporations. It has been shown that excessive national debt, that is, debt over 90% of GDP, slows down growth. 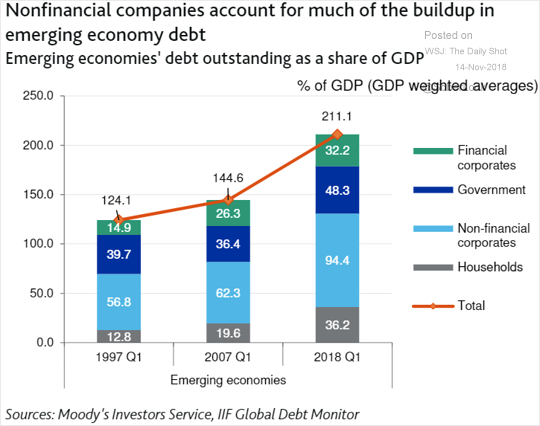 A quick look at the chart would indicate that overall the global economy is heading for a slowdown that is going to last until the debt load can be substantially lightened. The worst sinners are corporations, which do not contribute to providing much optimism for the future. Investors should be made aware that they ought to check carefully on the debt of corporations before investing their capital anywhere, and that includes the US as well as Europe. GE and very probably soon ATT are good examples of where one should not invest. Corporate bonds are not a safe haven.